Mr. Suhail Bin Ghazi Algosaibi, Chairman of the Board of Trustees of Bahrain Foundation for Dialogue, received a delegation from the King Abdulaziz Center for National Dialogue. The delegation included Dr. Khalid Bin Mohamed Albediwi, who manages the Center in the Eastern Province and Mr. Yousef Saad Aldukhiel, who is in charge of the Department of Program Development. Mr. Abbas Hamada, the executive secretary also attended the meeting. After welcoming the delegation, Mr. Algosaibi overviewed the activities and programs of the Bahrain Foundation for Dialogue and presented its future challenges and plans. He briefed the visiting delegation on the 18-month training program launched by the Foundation in cooperation with Search for Common Ground to train a number of Bahrainis in inculcating a culture of peace and dialogue. Dr. Khalid Albediwi introduced the King Abdulaziz Center for National Dialogue and its objectives. He also outlined the missions the Center undertakes to develop a culture of coexistence in the Kingdom of Saudi Arabia. He went on detailing “Naseej”, the latest program launched by the Center aimed at enhancing the culture of coexistence through community-based initiatives. The two parties have agreed in principle to consolidate the cooperation between Bahrain Foundation for Dialogue and the King Abdulaziz Center for National Dialogue. This agreement includes exchanging the experiments and experiences to achieve the common objectives. 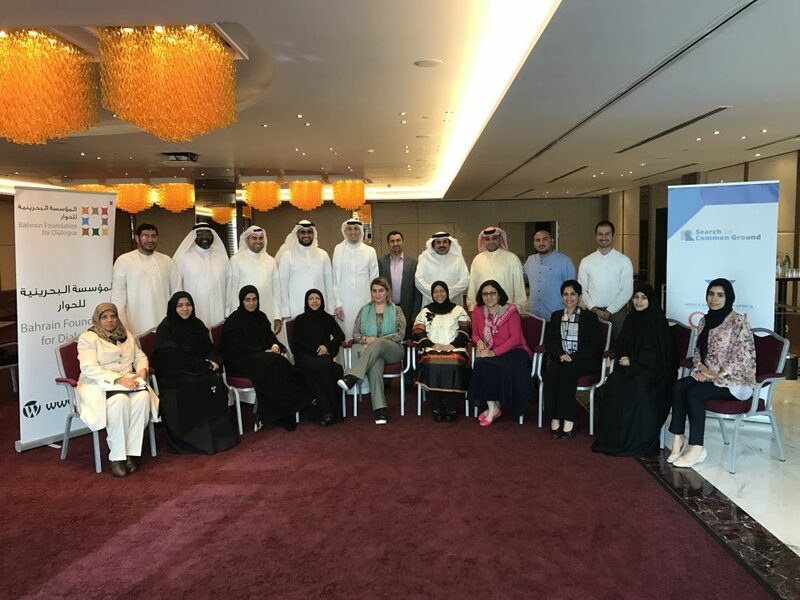 The second session of ‘Train the Trainers’ course, organized by the Bahrain Foundation for Dialogue in collaboration with Search for Common Ground (SFCG), was concluded on Saturday, 18th March 2017. The four-day session, which focused on facilitating the community dialogue, was presented by Mr. Shoqi Maktari, the international trainer and the head of SFCG’s Yemen Office. Twenty Bahraini male and female trainers attended the session. Mr. Maktari emphasized that dialogue facilitation is an integral part of the process of designing the dialogue. He pointed out that the role of the facilitator is very important and sensitive, and becomes relevant mainly during the dialogue session, while the designer’s role begins before the dialogue and continues throughout its course. Moreover, it is the designer who selects the facilitator. At the end of the program, Mr. Suhail bin Ghazi Algosaibi, Chairman of the Board of Trustees of the Bahrain Foundation for Dialogue, expressed his thanks and appreciation to Mr. Shoqi Maktari for his efforts in training the Bahraini trainers at the first and second training sessions. He also thanked the Bahraini trainers who participated in the session for their diligence and perseverance. The training course focuses on developing young potential to support and maintain civil dialogue to make national initiatives more effective. The third and final session of the training program will be held later this year. 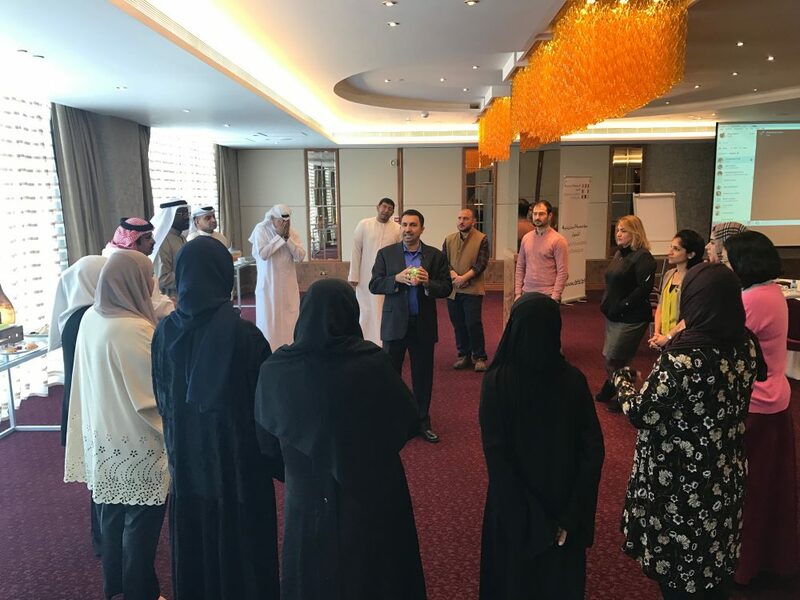 The first phase of the joint training program organized by Bahrain Foundation for Dialogue was launched last Friday, in partnership with the organization of Search for Common Ground. This training course consists of three parts; each course lasts 4 training days, presented by Search for Common Ground designated training experts. 20 male and female Bahraini trainers are registered as part of this ambitious program. The first training period commenced under the title: “designing civil dialogue”, presented by International trainer Shoqi Maktary, Search for Common Ground Yemen office Manager. Maktary discussed the program’s objectives and criteria, and introduced civil dialogue as a gathering of participants of various backgrounds, enabling information and perspective exchange, and developing solutions for crucial issues from different societies. 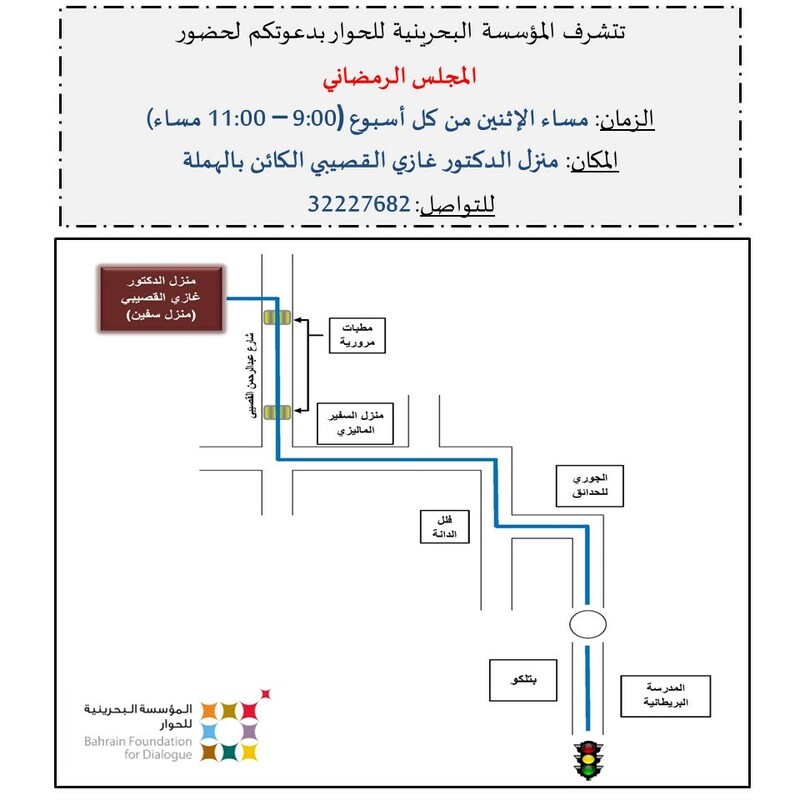 The first training course is expected to end on Monday, while the second is to follow on Wednesday evening until 18th of March. Bahrain foundation of Dialogue announced earlier signing an agreement with Search for Common Ground on the launch of this program. It is anticipated to extend over 18 months, and tackle civil dialogue designing and planning, fundamentals of peace and dialogue, with an outcome of qualified and proactive Bahraini youth, in addition to a number of civil dialogue experts. 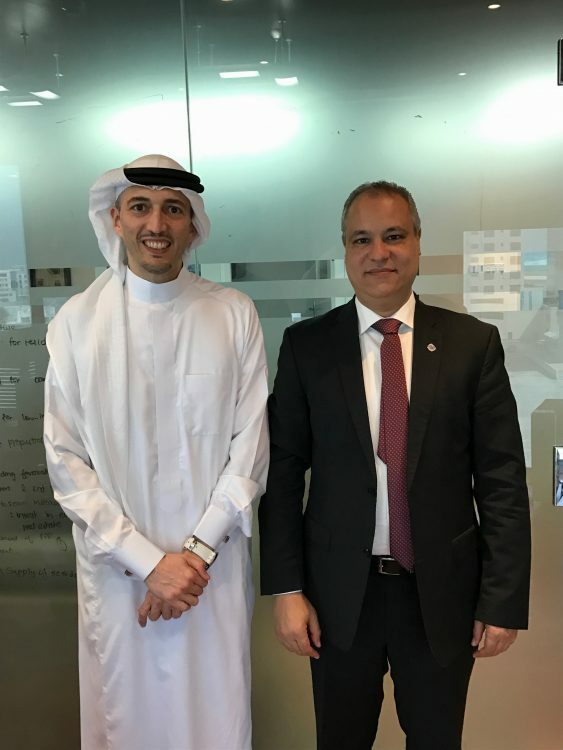 The Chairman of the Bahrain Foundation for Dialogue Mr. Suhail Algosaibi welcomed Mr. Khaled Khalifa, the Regional Representative of the United Nations High Commissioner for Refugees (UNHCR) in the GCC countries, accompanied by Mrs. Amal Alamri the Associate Private Sector Partnerships Officer. The meeting held last Sunday was also attended by Mr. Abbas Hamada, the Executive Secretary of the Foundation. Mr. Algosaibi explained the Foundation’s activities, principles, objectives and future plans with the visiting Delegation, assuring that the Foundation aspires to see Bahrain as a role model of coexistence to be looked up to. On the other hand, the Delegation of the United Nations High Commissioner for Refugees (UNHCR) presented a brief summary about the Agency, its objectives, achievements and scope of work. The Delegation also discussed the refugees and immigrants situation in the Arab Region, where 39% of the international immigration movement takes place. The Agency’s efforts in aiding these immigrants were then displayed in gratitude to the efforts of the GCC countries’ in providing the immigrants’ basic needs. Finally, the Delegation expressed their admiration of the principles adopted by the Bahrain Foundation for Dialogue, and extended their utmost support to the Foundation’s major endeavors in holding a considerable number of qualitative events in this regard, hoping to share this experience with other countries. The two parties further assured their readiness for mutual cooperation in relative issues. The Chairman of The Board of Trustees of The Bahrain Foundation for Dialogue, Mr. Suhail Ghazi Algosaibi, praised the outcome and the quality of sessions of the Manama Dialogue 2016 organized by the International Institute for Strategic Studies (IISS) . Mr. Algosaibi also highlighted the importance of this periodical forum which is an international event and a central platform for decision makers hailing from all around the globe. The Dialogue discussed major issues like the stability in the Middle East, cooperation in setting general policies, combating terrorism and enforcing regional and international security. “The analyses and perspectives projected in the Dialogue reflected its substantial contribution in the field of international strategic and security studies,” Algosaibi commented. He also expressed confidence that the future editions of the Dialogue will consider topics like the importance of education, mutual dialogue and international cultural exchange, and also encourage youth participation in the dialogue. The Bahrain Foundation for Dialogue, in strategic partnership with Search For Common Ground (SFCG), will launch a training program in 2017 for 50 young Bahrainis on sustaining the culture of peace and dialogue. 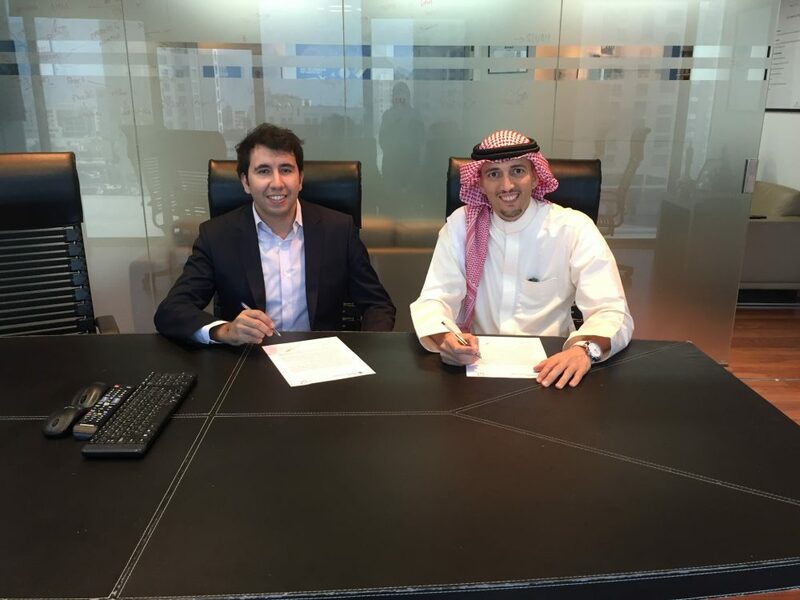 The agreement was signed by the Foundation’s Chairman of the Board of Trustees, Mr. Suhail Ghazi Algosaibi and Abou El Mahssine Fas- Fihri, SFCG’s MENA Regional Director. 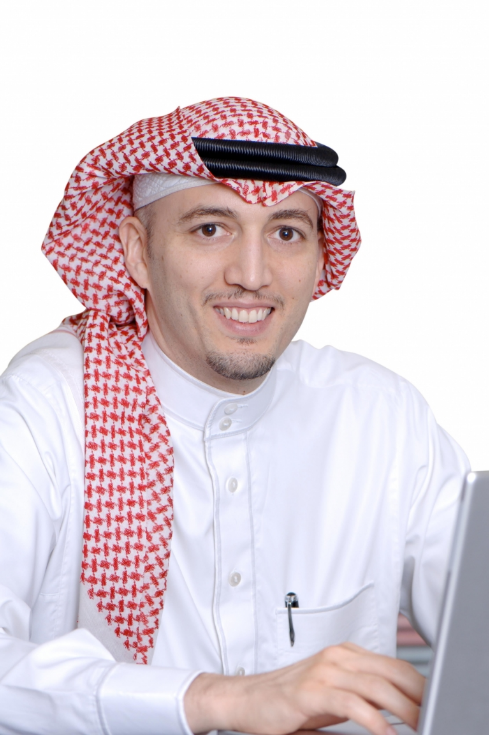 Mr. Algosaibi stated in a press release that the training program will be unique and run for a period of 18 months. 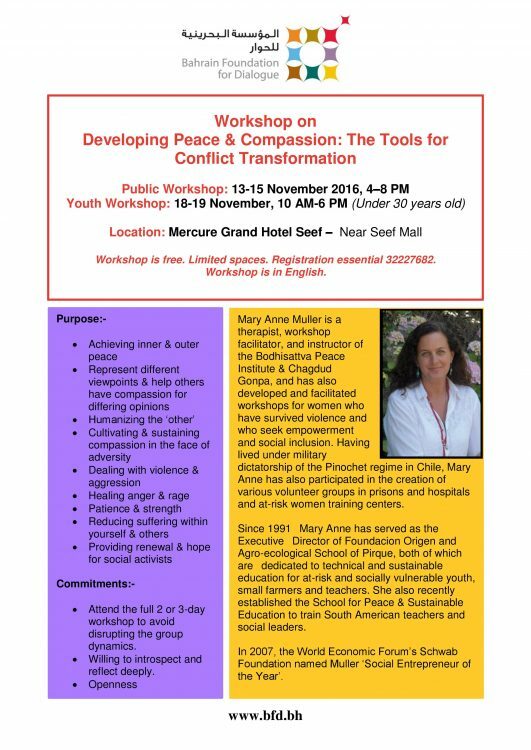 It will equip participants to plan and execute civil discourse on peace and dialogue. He also expressed confidence that this program will produce a generation of competent social activists and a good number of civil dialogue training experts. Mr. Algosaibi termed the relationship between the two entities as strategic partnership. 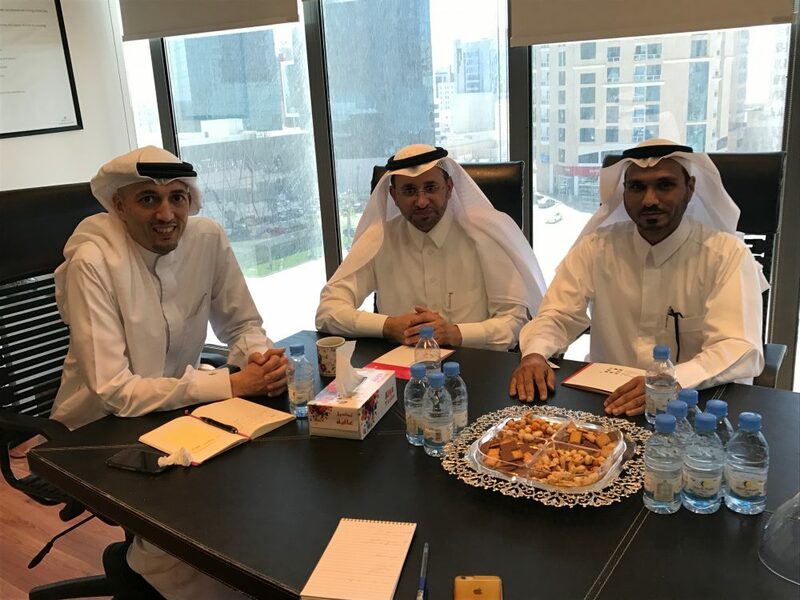 “The SFCG delegation visited Bahrain to finalize the training program and to sign the strategic partnership agreement.” The two partners will work together, committed to spreading the culture of civil discourse and human values, thus setting ground for Bahrain’s youth to participate in civil matters effectively and positively. “The program will focus on human development among Bahrainis and intend to encourage a youth-led civil discourse embracing effective national initiatives,” Algosaibi said. The program will commence with training 15 Bahraini trainers of both genders in the first quarter of 2017. The participants will be prepared to join the elite group of international trainers in the field and they will, in turn, train the participants of the program’s next stage. The Foundation will begin enrolling and selecting participants early next year. A Memorandum of Understanding was previously signed between the two organizations in November 2013. They have conducted a number of programs and training courses in the Kingdom of Bahrain on various topics like dispute resolution, non-violent and healthy communication, mediation techniques, leadership strategies facilitation skills, etc. Search for Common Ground is an international foundation, headquartered in Washington DC and Brussels. SFCG is one of the oldest dispute settlement organizations established in 1982 and operating in 49 countries. Chairman of Board of Trustees of the Bahrain Foundation for the Dialogue, Mr. Suhail Ghazi Algosaibi, praised the convening of the first Governmental Forum, under the patronage of His Royal Highness Prince Khalifa bin Salman Al Khalifa, Prime Minister, emphasizing the contribution of such forums, being a significant and pioneering initiative, to the improvement, growth and accomplishment of Governmental work and integration between various parties. Algosaibi introduced the forum as a vital opportunity to create an optimal positive environment that embraces, in addition to Government personnel, all citizens, where the Government vision, developmental projects and performance standards are openly shared within the frame presented by the Forum’s Senior Officials. He then praised the essence the speech of His Royal Highness Prince Salman bin Hamad bin Isa Al Khalifa, Crown Prince of Bahrain, the First Deputy Prime Minister of the Kingdom of Bahrain and the deputy Supreme Commander of the Bahrain Defense Force, in which his highness enclosed valuable purports as guidelines for the Governmental work in its upcoming stages, correlating them with the national achievements in the light of Bahrain Economic Vision 2030. Algosaibi also cherished His Highness’s call for the enhancement of Governmental services, the development of legislative and regulatory frameworks and the facilitation of all Governmental procedures, alongside with providing a high quality infrastructure. Expressing his utmost appreciation, and congratulating His Royal Highness Prince Khalifa bin Salman Al Khalifa, the Prime Minister on the major success of the Governmental Forum 2016 and the momentum it has earned, Algosaibi hoped for a periodical reunion to cultivate the vision that leverage the Governmental strategy. He advised the recourse of studies and researches to unify the vision in order to overcome challenges, and the corroboration of cooperation and integration values between different Governmental sectors. He also stressed the dedication of periodical assessment principles of the Governmental performance and the implication of monitoring and optimal utilization of resources. Algosaibi then mentioned the importance of guaranteeing the coordination between the pace of plans and programmes and the Economic Vision and the Government criteria, and assuring the principles of sustainability, justice and competitiveness as pillars of development.